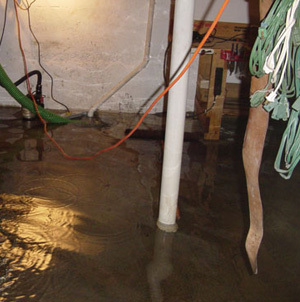 In the event that this happens, BlueMaxx Basement Systems can help you waterproof the foundation. Our installations include patented waterproofing products and written warranties. If you'd like a FREE quote for foundation waterproofing for your home, call or e-mail us today! BlueMaxx Basement Systems operates in Manitoba, including Winnipeg, Arnot, Brandon, Brochet, Dauphin, Island Lake, Little Grand Rapids, Lynn Lake, Melita, Nunalla, Port Nelson, Russell, & Swan River, and nearby. Once construction is done and the home has been lived in, BlueMaxx Basement Systems does not recommend foundation waterproofing from the exterior. 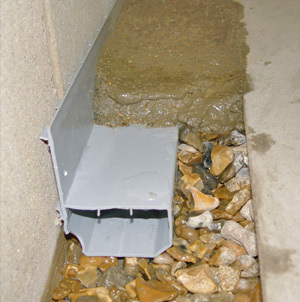 Instead of this, BlueMaxx Basement Systems advises homeowners to install an interior waterproofing drainage system, such as our WaterGuard® Basement Drainage System. If you're in need of foundation waterproofing for your home, BlueMaxx Basement Systems is ready to help! We can help you dry your basement-- and keep it dry all the time! 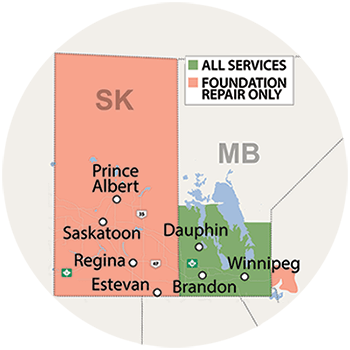 BlueMaxx Basement Systems does foundation waterproofing in the Manitoba area, including the surrounding areas of Winnipeg, Arnot, Brandon, Brochet, Dauphin, Island Lake, Little Grand Rapids, Lynn Lake, Melita, Nunalla, Port Nelson, Russell, Swan River and nearby.